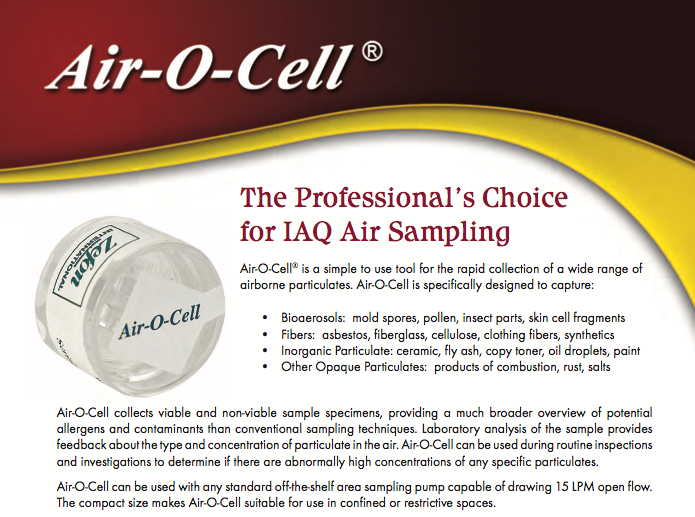 Air quality testing is the process of verifying the Indoor Air Quality of the home or structure. The quality of the air inside the building has a direct impact on the occupant’s health and well being (sometimes referred to as Sick Building Syndrome). Many tests are done to determine air quality in a structure. Are you noticeably healthier when outside the home? Some of the air pollutants Admirable Inspection Services tests for are asbestos, radon, lead paint, and Chinese drywall. Lead Paint – Lead-based paint was commonly used in homes built before 1980. Since then, scientists have found that even low levels of exposure to lead can be harmful to pregnant women and children’s health and development. Removing or disturbing paint as part of a renovation project may expose you and your family to lead. Before you begin renovations, consider an air quality inspection and paint chip sampling to minimize the health risks to you and your family. Asbestos Testing – Asbestos is a well-known hazardous material regulated by the federal government. Asbestos fibers have been directly connected to cancers of the lung and other respiratory illnesses that can be easily prevented it detected early enough. Alberta Occupational Health and Safety has a policy for mitigating the risks associated with asbestos contamination and now is the ideal time to get your air quality tested. Vermiculite, ceiling tiles, duct work seals, drywall tape, flooring tiles, are all known to contain dangerous levels of asbestos. Call Admirable Inspection Services and let our experienced inspectors handle your private or commercial asbestos testing. Radon Testing – What is Radon? And why should I be concerned? Radon is an odorless, tasteless, colorless, radioactive gas that is produced from radioactive breakdown of uranium in the soil near your home. Once airborne, radon gas and its by-products can be inhaled into the respiratory system where these particles break down even further, releasing small bursts of radioactive energy (called alpha particles). These alpha particles are absorbed by lung tissues damaging them leading to an increased risk of developing lung cancer. If we are performing your future “Home Inspection” we can provide you with Two (2) E-Perm Canisters and a specific worksheet so you can perform your own long term testing! Make sure you follow the instructions carefully! and yes two (2), redundancy is always important. Long term testing is very important. See: https://takeactiononradon.ca/test/ When the time requirements are meet, you will simply deliver your canisters to a local west Edmonton laboratory. The best time to conduct your radon test is during the heating season. Radon can vary from day to day. The highest radon levels are generally detected in the winter. During the winter months our homes are sealed more than the summer months and are warmer than the surrounding soil, which tends to pull more radon gas inside. 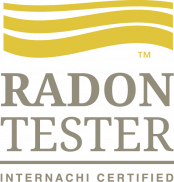 If you’re not sure about testing your home, a certified* radon measurement professional can test for radon.